On Monday 28 January, a map presented during White House press conference showed Taiwan as independent of China. Whilst the press conference was focused Venezuela and the possibility of economic sanctions, the portrayal of Taiwan as independent caught the eyes of many on the island nation and was positively received. The map also provoked ridicule on the internet, where people were quick to highlight Beijing’s general practice of desperately forcing companies to apologise for portraying Taiwan as independent. A White House map that excluded Taiwan from Chinese territory has caught the attention of internet users on the self-ruled island. The map was displayed on Monday during a press conference by White House national security adviser John Bolton and Treasury Secretary Steven Mnuchin. The pair were discussing sanctions on a Venezuelan state oil company after the US declared it would no longer recognise Nicolas Maduro as president. 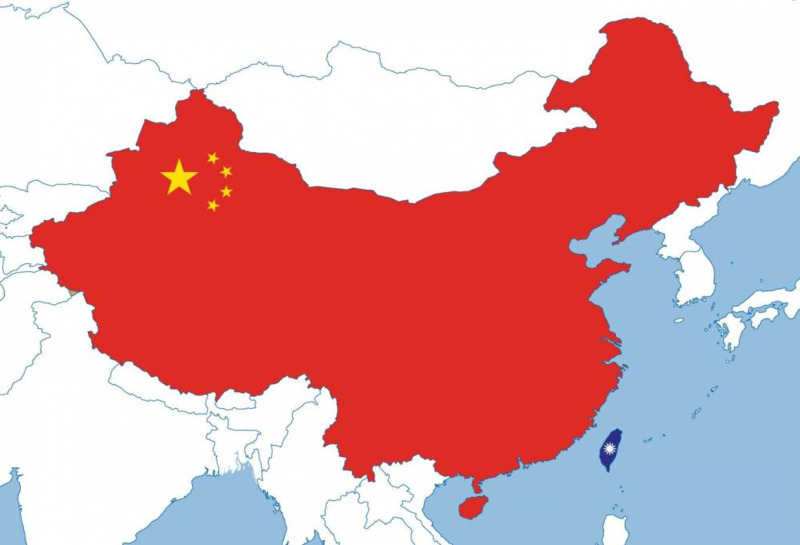 While much of world is focused on the ongoing turmoil in the South American country and the possible US response, eagle-eyed internet watchers in Taiwan noticed that while China and Russia were marked in red, along with other supporters of the embattled president, the island was not. Beijing regards Taiwan as a breakaway province that must eventually be reunited with the mainland and the issue is regarded as acutely sensitive on the mainland, where it frequently triggers outrage on social media. Beijing has been stepping up pressure on multinational companies to remove any references on their websites that imply Taiwan is somehow separate from mainland China, a move the White House has described as “Orwellian nonsense”. Earlier this month McDonald’s was forced to apologise for a television advertisement that showed a two-second clip of a student ID card that listed Taiwan as a country. Last year, US clothing retailer Gap also had to say sorry after a T-shirt that showed a map of China without Taiwan drew the ire of some Chinese internet users, while companies ranging from Marriott Hotels to Ikea have run into similar difficulties. But many Taiwanese take a different view and the White House map won applause from many internet users. Cross-strait tensions have increased since the election of President Tsai Ing-wen, from the independence-leaning Democratic Progressive Party, and some Taiwanese interpreted the map as a show of support amid increasing pressure from Beijing. A post published on at PTT, the largest bulletin board system in Taiwan had attracted over 500 comments by Wednesday afternoon, with many mocking Beijing’s hardline tactics against the island. “Are the Chinese internet users going to boycott the White House?” one user wrote. “Will they force the White House to apologise?” another user wrote.